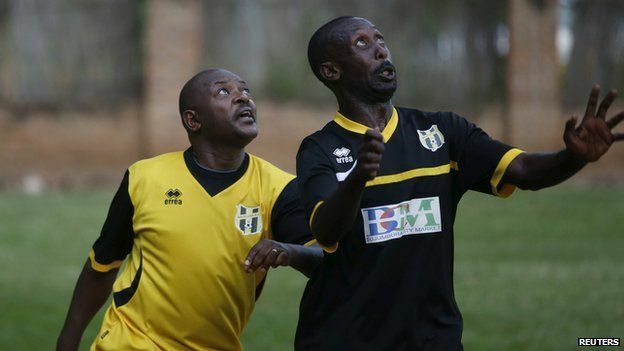 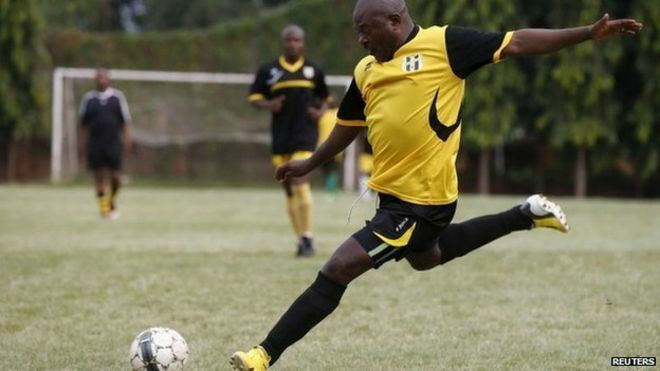 Burundi's President Pierre Nkurunziza has been photographed playing football as protests continue over his bid to run for a third term in office. 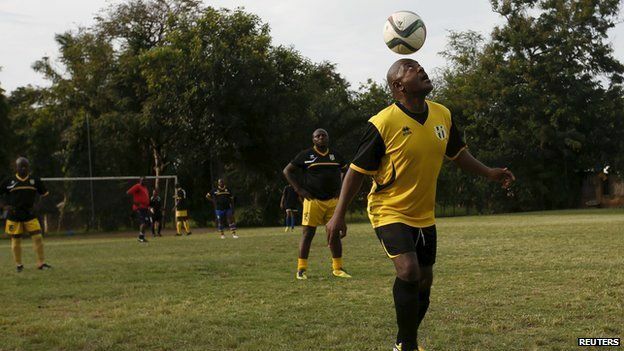 Mr Nkurunziza was playing in his daily kickabout with friends in the capital, Bujumbura. 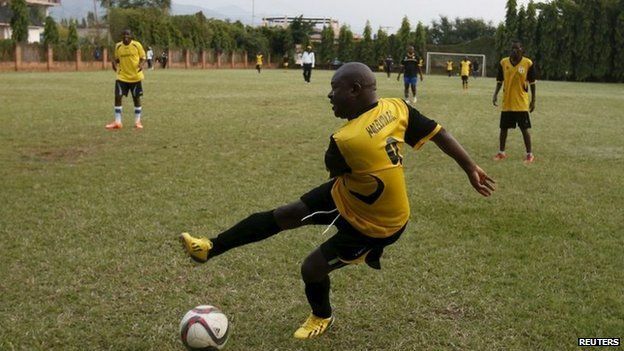 In the latest unrest, a protester was shot dead in Bujumbura. 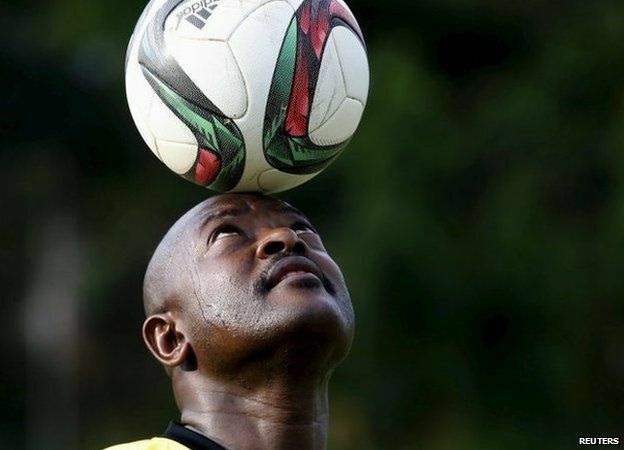 Last week, there was a failed coup against Mr Nkurunziza. 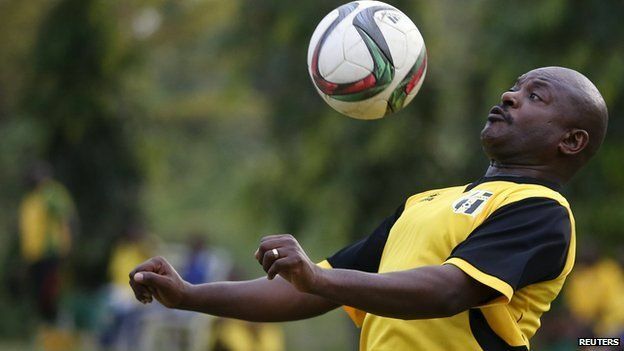 Senior officials from both the army and police have been accused of involvement.